So you can imagine my dismay when my friend Bob announced he’d been writing poetry. I met Bob 30 years ago. He was a musicology and harpsichord professor back then, and Esteban was helping with chores around his house. I didn’t fully understand Bob at first. He loved history — which seemed boring, when I was 18 — and he had an alarming habit of peppering his conversation with Italian, French and German. And yet, I was sad to leave him when Esteban and I got married a few years later and moved into our own house. We saw Bob only sporadically that first decade, as we tried to start our careers and raise a puppy and fix up our house and plant our gardens. But in spite of the infrequent visits our friendship continued to grow. Even after his retirement from the university Bob continued to grow, too. He published books and did genealogical research … and he started writing poetry. He invited me and Esteban to his first public reading. “This is actually really good,” I thought, as he described the night sounds of his World War II encampment. “This is wonderful,” I’ve said more than once in more recent years, as he’s handed me new poems. I’ve taken to reading them out loud for him during our weekly Friday-night visits. But he doubts the quality of his work, and whether it’s even worth sharing. I think it’s worth sharing. Happy National Poetry Month. 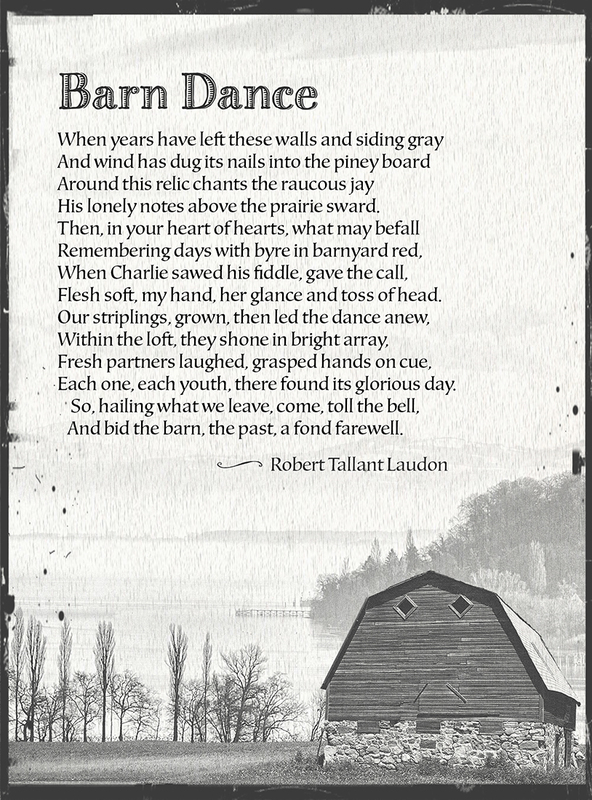 “Barn Dance” © Robert Tallant Laudon. Photo illustration based on Creative Commons-licensed images by David Kracht and The.Waterbird. *It’s National Poetry Month — at least here in the States, where we seem to have a random designated day, week, or month for everything. Why, in April alone there’s a Tweed Day (April 3) and a Draw a Picture of a Bird Day (April 8). Sadly, we just barely missed Bat Appreciation Day on the 17th. But you still have time to get your cholesterol-related decorations ready, because National Lipid Day is just around the corner! Thank you so much for your kind comment! I will pass it on to Bob; he will be delighted. Congratulations on being the first person EVER to call me a “poetry bully.” Hahaa! If you have the fortitude to reattempt your 2x great-grandmother’s poetry, I’ll be very curious to hear what you find. (Gothic Victorian sensibility? Or prissy descriptions of courtship? Mundane pastoral scenes? 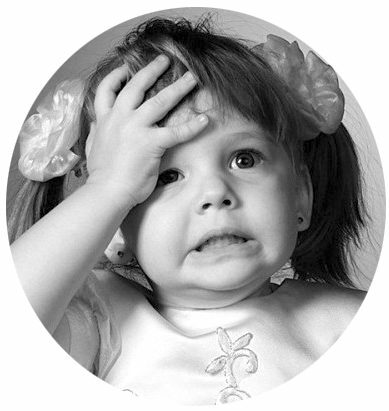 Why, my mind is reeling!) Anyway. Thanks so much for stopping by and bringing a huge smile, Julie. I am now holding my copy of “Crocus and Wintergreen,” a book of poetry published by my 2x great grandmother and her sister in 1907. After I’m done looking up the word “crocus,” I think I’ll read it. Or, I’ll try to read it. Something tells me it’s not about minty gum, and I’m afraid poems about gum are about as refined as my poetry palette gets at the moment! If I am the Poetry Bully, would that make you the bully-ee? 😀 But seriously, I’m eager to hear what you think of “Crocus and Wintergreen.” It sounds very … um … refreshing. Oh, crocus is (are) flowers. Why not just call it “Flowers and Gum”? Hahaa! Would YOU read a book called “Flowers and Gum”? Wait, no … strike that from a record. *Of course* you would read it, because (like me) you’d be dying to know why the heck anyone would write about those topics. I agree with you – Bob’s poem is worth sharing. I believe, once something is written and finished, it needs to be pushed out of the nest so that it can find its own wings and fly. Bob’s poem could bring great pleasure to somebody who comes across it, by chance, on your blog. It could brighten a dark day or inspire new writing. Or somebody might hate it and decide to do things differently. But his poem will be alive, making its own way out in the world, adding grist to the human mill of creativity. It looks beautiful on the page too – did Bob choose the font and the illustration? It’s funny how many people think their own writing isn’t good enough but I’ve never heard anyone say that their own children aren’t ‘good enough’ to be let loose on the world once they’re fledged. Or that their cat’s kittens aren’t ‘good enough’ to offer up for adoption. We’re horribly hard on our own words, aren’t we? What a lovely metaphor you’ve woven into your comment, Elaine: I’ve never thought of written pieces as fledgelings before, but you’re so right that writing doesn’t really take on a life of its own until it’s shared (pushed out of the nest, so to speak). Anyway … thank you SO much for your kind and thoughtful comment. You made my day, Elaine. I suppose, nowadays, everything is so public and so quick and you can’t choose your readers once any bit of writing’s online. In the old days you could read things aloud at a tiny bookshop to a handful of listeners squashed between the shelves or be published as one little poem in an anthology, then work your way up bit by bit. I remember reading an interview with Debbie Harry from Blondie about how useful the time they spent refining their craft in tiny clubs in New York had been. That kind of peaceful apprenticeship or little-by-little entry into the world seems harder to achieve these days. Anyway, I hope Bob finds the best side of humanity in response to his bravery in letting his writing fly the nest. It’s certainly worth the candle. By the way – Bob might be interested in Harry Leslie Smith, a 93 year old over here in the UK who’s using his words to remind people about how precious our National Health Service is – he write about his life in a time when you had to have money to get healthcare. He’s got a blog and a book. I saw him speak yesterday, and the voice of a 93 year old spans so much change that it’s like watching time unfolding in front of you. I’m impressed by your design of the poem on the page. Bob must have been thrilled to see it housed so appropriately. It is indeed difficult in our age to be creative fledgelings, because anything on the Web can “go viral.” But in my experience most people have been kind, and I’m delighted that’s holding true for Bob’s poem, too. I’m sorry to report, though, that Bob has been ailing since Saturday. (I posted this in an effort to cheer him, truth be told.) But I’ll try to read him your wonderful article from The Guardian when I go visit him tonight. And thank you for your accolades on the design! I am an amateur, to be sure … but setting Bob’s poem was a labor of love. I’m thrilled that came across. Cheers to you from across the pond, and thank you for making my day! All my good wishes to you, and to Bob. Between you, you’ve brought a thing of positive beauty into the world. Thank you for your incredibly sweet and hopeful words, Elaine. I will read them to Bob this evening when I visit. Great post! I love poetry and write it and agree with you that it can be an excuse for ghastly pretension, however it is also the doorway to the soul, to that which cannot be expressed by the rational and that’s why I love it so much. How lovely that you could possibly be converted!! What beautiful words you’ve written for Jayne, Pollyanna! Grief is as almost as great a mystery as life itself, isn’t it? But — like life — you can only get through it by leaning into it and letting it wash over you. So … OK. I stand corrected. I *do* like poetry! But only your kind, the kind that comes from the heart. Thank you so much for stopping by, and especially for sharing something so beautiful. Cheers to you! Ooh … I will keep my eyes peeled! Hahaaaaa! You never cease to amaze me (and you never stop making me laugh) with your creativity and humor, Keith. “Poetry Barn.” That’s inspired. Thank you for the GIANT smile! As always, a beautiful post.